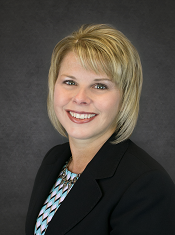 Jennifer Matthews is a vice president with SouthEast Wealth Management. She offers clients more than 25 years of financial services, retirement strategies and financial management experience. Jennifer is also an advisory representative offering financial and retirement planning through WMG Financial Advisors, LLC. Jennifer's focus is advising on the development and implementation of investment strategies to help clients meet their immediate and future goals. She follows a disciplined process of assessing a client's financial situation, determining risk tolerance, forming and with the client's permission executing an appropriate investment plan and regular portfolio rebalancing in order to retain the plan's identified portfolio mix. She also consults on risk management, retirement planning and other critical financial strategies. Jennifer and her husband, Chip, live in the Karns community and are very active in Knox County Youth Sports with their children, Haley and Brody. They also have a son, Hunter, currently serving in the United States Navy. Jennifer and her family love the outdoors and spend as much as time as they can at the lake, camping and riding four-wheelers. Advisory services offered through WMG Financial Advisor, LLC, a Registered Investment Advisor. Securities offered through ProEquities, Inc., a Registered Broker/Dealer, member FINRA and SIPC. SouthEast Wealth Management, WMG Financial Advisors, and ProEquities are independent of each other. Jennifer is licensed to discuss and/or transact securities business with the residents of Tennessee.